Well, a couple of weeks ago, I finally got my Google Glass.The experience to pick them up was just as great as I expected; they host you at Google and present you with several options of colors to choose from.I decided on black, just to be neutral, and thinking that it would probably make them less noticeable, since my main idea and objective is to use them at work, caring for patients. 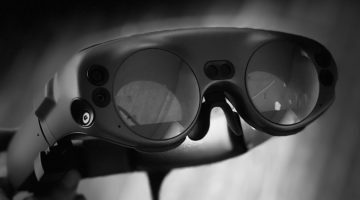 They custom fit them to make them comfortable and to make sure they do not block your field of view.They register and connect them for you, and suddenly, “OK Glass”: magic starts to happen…right in front of your eyes (Your RIGHT EYE, actually!). For weeks, I have been thinking of ways to apply Glass to my daily routine of taking care of patients.I’m a surgeon and depending on the day, I can be in one of many areas, from the clinic, to the OR, from the ICU to the ED or the Trauma Bay;taking care of patients during rounds or teaching third or fourth year medical students. (and share it, if I choose to do so) or connect with someone by live video (thru a “Hang Out”) is a bit mind-blowing. I imagine performing an operation and connecting live with group of students or surgeons, anywhere, doing a live “Hang Out”, letting them virtually “BE” in the OR with me, SEEING what I’m seeing, pointing to anatomic structures and different steps of the procedure, THRU my eyes…I envision the possibilities in distance MedEd, taking surgeons thru a complicated procedure, or one that they might not be so familiar with (surgical missions without leaving the country!). I imagine being in the middle of a difficult surgical case and suddenly finding the unexpected. Just by a voice command, being able to call for help, having a colleague to “virtually join” me and and give advice; or encountering an unusual finding, and sending the image or recording of it to a pathologist or sub-specialty colleague, for their opinion on the gross appearance and their opinion on how to proceed. Imagine how “Grand Rounds” could be revolutionized. Doing them at a distance, with both presenters wearing GoogleGlass, and doing a simultaneous “Hang Out”. Even connecting two groups or classes, in different schools/surgical programs (even different countries). The potential for a better exchange of information, ideas, experiences, knowledge, is only limited by our creativity. 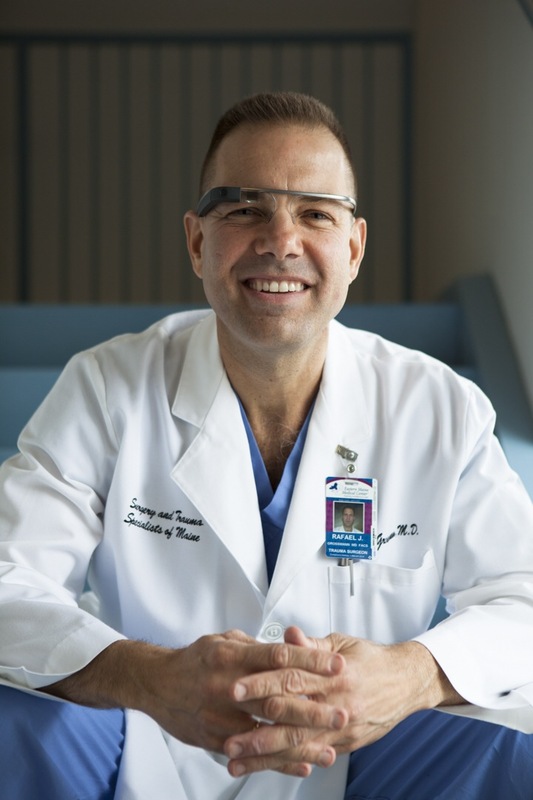 There are so many ways to use GoogleGlass in medicine and not have to worry about breaching patient’s privacy. Until there are “secure”, “encrypted” and HIPAA compliant applications, its use can exclude any mention of a patient’s identifying information. But when this applications are developed (and they will be! ), the game will change even more radically. Then, we will be able to exchange any health private information without worrying about legal or ethical penalties. Envision Glass on the field for EMS providers, connecting them to hospitals, being guided thru difficult procedures if needed; or having them advise the receiving hospital’s set up in case of disasters or major traumas. Giving set up instructions before patient’s arrival, based on their “first responder’s” knowledge of the situation (chest tube set-ups, massive transfusion protocols, OR teams, etc.) It would certainly be a “time saver” and, in trauma, “Time is Gold”.I think that if one aspect of the trauma care process could be improved, it is the communication between the teams. 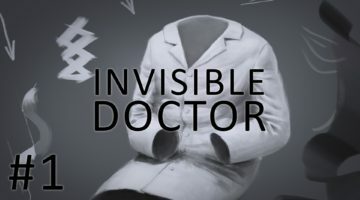 Have you been to a doctor’s office and then have someone sit close to you, turn around and look at a monitor screen, while they ask you questions, while you face their backs? 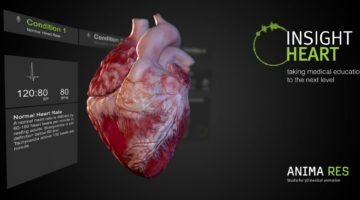 Imagine then, a doctor accessing patient’s images, medical history, tests and laboratory results or any EMR data, all of these without leaving the patient’s presence, or turning away from them, to look at the computer screen. Not just obtaining data but uploading it, with verbal commands, right to their charts, in real time. Medicine will be “personalized” again. We could be in front of a patient, face-to-face, again. months. Well, I ask myself, what’s a tweet in front of a “Hang Out”? (Sorry Tweeter!). A story like this would be all over social (and “regular”) media. A Health System should embrace this innovation. A system should support and encourage this radical thinking, which can only bring advertisement and great PR to its grounds. A professional association (I mean you, American College of Surgeons) must BE THE CHANGE YOU WANT TO SEE. Surgeons are leaders, innovators, “ground-breakers”! Let’s do it! Help me do it. I, and a few other physicians and surgeons, would really like to lead this revolution. Not a revolution, BUT the EVOLUTION of the current, decadent Health Care. From inefficient to efficient. From obsolete, to “cutting edge”.From slow to “as-fast-as-your-High-Speed-or-Fiber-Connection”; from error-prone, to designed-for-safety; from unsustainably expensive, to cost conscious ( I do believe that, while technology can be expensive, the smart use and application of technology to solve problems and improve processes, is the best way to decrease costs in healthcare). For many years now, doctors and health care providers have been using machines, technology and the internet to optimize the care of patients. GooGoogle Glass is just one more step in the right direction. One more gadget people might say…but what a gadget! This is the natural evolution of the interaction between human, device and the Virtual Highway.I do believe that in medicine, it will make our work better, and that only means, “OK GLASS”: improve patient care, now! Rafael, I am pleased to have found this post. I live in Windham, ME and have just received word that my Glass is ready. Are you aware of any other Explorers in Maine? Thxs John fir all the comments. Feel free to spread the blog around. I do feel that this vision has the potential to tremendously improve the work we do and hence the outcomes of our patients.